To say we’ve been through a lot in the past month would be an understatement. We went to China and discovered that The Dipper’s chevron pendant had major problems. While this unexpected challenge has pushed out our ship date to October 2016, we are relieved to finally have a solution to the metal issues that have caused so many Dipper delays. You can read all about it here on our blog. The temperature isn’t the only thing that’s hot this Summer. The demand for The Dipper is on fire, and we’ve sold out of our first production run! Didn’t get a chance to pre-order one yet? Let us know you want to get your shine on in your very own Dipper by joining our waitlist here. 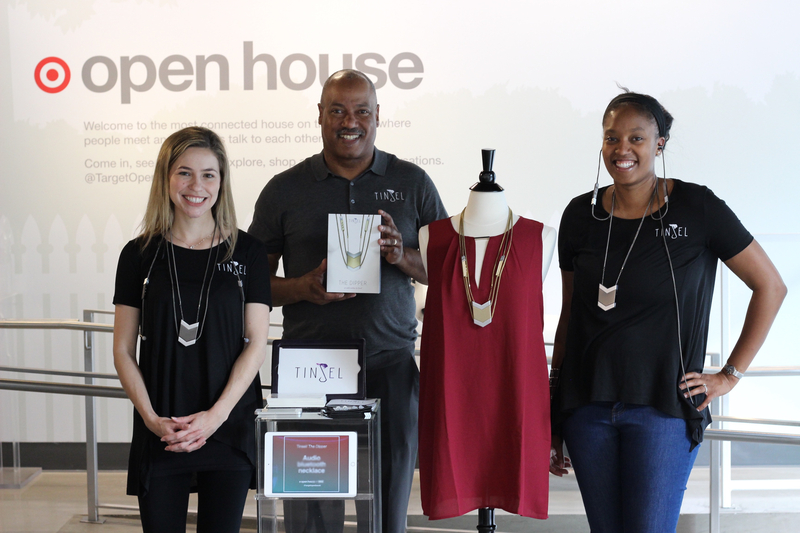 The team spent a couple days at Target Open House and Brookstone giving people a sneak peek of our audio necklace, and the demos didn’t end there. June marked Tinsel’s graduation from the hardware accelerator, HAX Boost, which concluded with a final Dipper demo. During our time, we figured out what we wanna be when we grow up, and some amazing new product ideas came from it that #teamtinsel can’t wait to share! Things are really heating up at Tinsel HQ as we start to prepare for production. Thankfully, the weather is following the same trend, and that is great news - summertime fashion is upon us! Look out for our 2k16 Summer Style Watch for all the looks from heading to take a Dip in the pool to Dipping into savings for an adventure abroad. Want more style ideas for your Dipper outfits? Follow Tinsel on Pinterest and Polyvore to see our picks for the best Dipper looks and the trends to rock it with. While you’re at it, you can share in our shine by finding Tinsel on Twitter, Facebook, and Instagram.